Evaluate: test and assess the students' understanding to know whether they have actually been able to breakdown, digest and understand what was learnt. We strictly adhere to these five Es in our pedagogy. 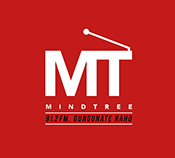 Student Centered Learning:- At Mind tree we realize that each student is different and so a need arises to give Student Centered Learning wherein each student is given an opportunity to come at par with what is required. Special classes for weaker students and also helping those who need special attention in one or the other subjects leads to overall, broad, and complete educational experience by the child. Project Based Learning & Learning to Implement:- Project based learning provides a platform to child to showcase his/her latent talents and innovativeness.Proejcts in Maths and Science ensures long term learning and clarification of the concepts. 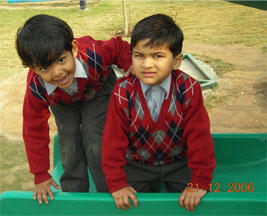 It also gives an opportunity to passive learners and makes teaching fun. Children's early learning experiences have a profound effect on their development. Early learning experiences are crucial to the future well-being of children, and establish the foundation for the acquisition of knowledge and skills that will affect later learning and behaviour. 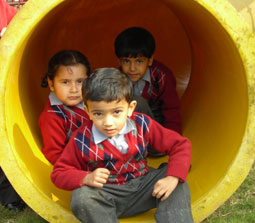 We firmly believe that childhood should be full of fun and stress free. 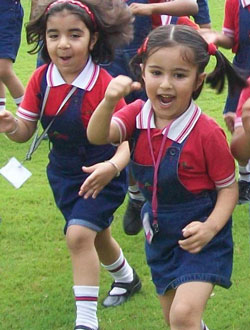 The Kindergarten programme at Mindtree runs on KG Pro, a scientifically designed programme for kindergarten schools successfully running in more than 50 schools. KG Pro is an exceptional educational programme that introduces academics through activities which not only invigorate the mind of a child, but also boost independence, confidence and self esteem. The KG Pro system enables children to capture their imagination, and offers them a learning environment where they can make discoveries, solve problems and think independently. 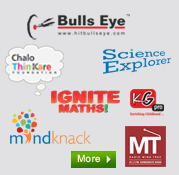 A core belief at Mindtree is that no single method of instruction is all comprehensive. Hence, we have come up with a Melting Pot Approach which uses both - traditional and progressive methods of instruction, to develop a well rounded curriculum that encourages social, academic and emotional growth of the child. 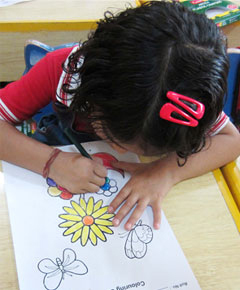 The Kindergarten Programme runs on theme based approach at Mindtree. Theme based teaching in a cohesive, practical and interactive method makes our Kindergarten teaching the most sought after feature of our school. Themes are based on the learning achievements that are appropriate for young children and provide the foundation for successful future learning experiences. The themes are prepared by a strong team of researchers and educationists to meet the requirements of the smarter and more intelligent generation. 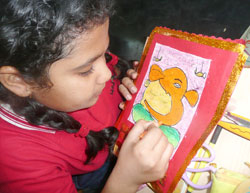 The whole curriculum is divided into 10 different themes, and each themes lasts for almost month. Each theme uses two books, Learn at Home and Learn at School (one for Class & one for Home). Home books are designed to reinforce the classroom learning. Apart from these basic 20 Books, every level has additional books to enhance further learning. Because of theme based approach, the bag is very light as the student carries only a diary and two light workbooks. KG pro works on a concept of workbook, where it combines features of copy and book, so light bags make children happy. In a typical day at school a child will carry two books (one for Class & one for Home) and a school diary. After every 15 working days, set of books is replaced by next set of books, thereby covering ten themes in 150 days. Colourful classes, activity hall, playpen and other surroundings make a child comfortable and enthusiastic to learn more from day one. A lot of effort is made by our team of hardworking teachers and mentors to inculcate value based education in the most carefree and stress free environment, making sure that there is not much load, but productive learning happening all the way. There is no formal Examination. However, the teacher conducts oral and written assessments as a part of continuous assessment methodology during the course of the session; and the reports of the students will be based on these. The overall atmosphere provided to students in Kindergarten is pressure free and the kids are allowed to express themselves freely. We strongly believe in a knowledge-filled yet light and engaging way of functioning in Kindergarten and that is precise approach we follow.